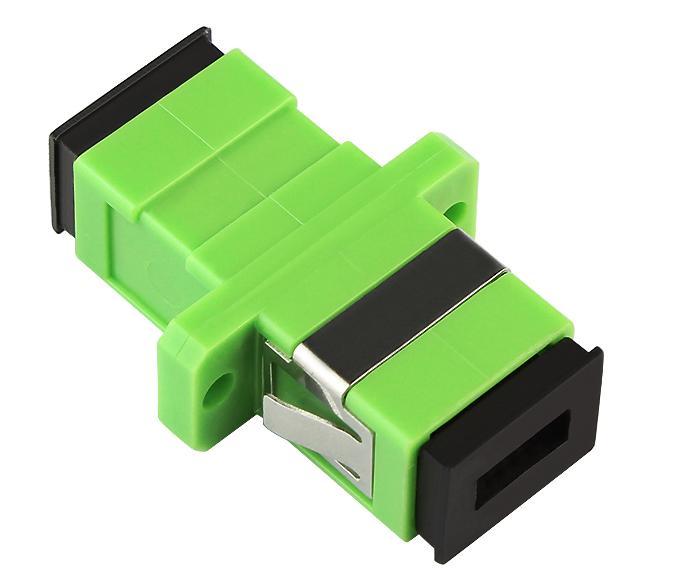 "SC" connector is a standard square connector, using engineering plastics, with high temperature, not easy to oxidation advantages. Transmission equipment side of the optical interface is generally used SC connector. Sc Fiber Optic Adaptor is a fiber optic connector developed by Japan's NTT company. Its shell is rectangular, the use of the pin and coupling sleeve structure size and FC type exactly the same. Which pin the end of the use of PC or APC-type grinding method; fastening method is to use plug-and-pin type, without rotation. Such connectors are inexpensive, easy to plug and operate, small fluctuations in interventional losses, high compressive strength, high installation density. 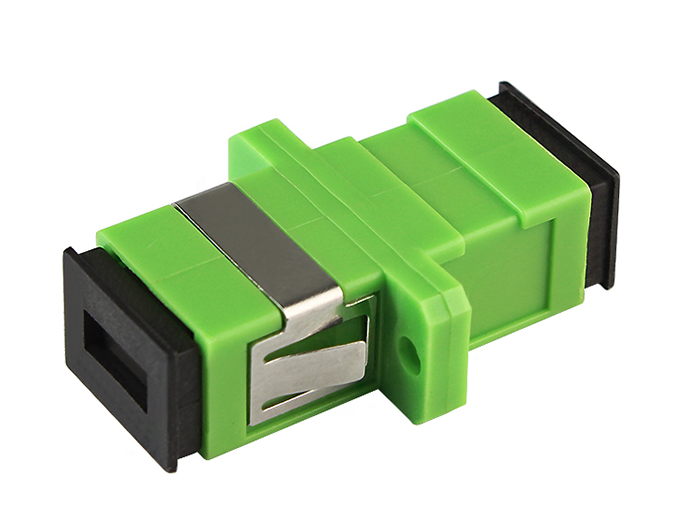 Fiber optic connectors are the most widely used optical passive devices in optical fiber communication systems. Most fiber connectors are composed of three parts: two fiber connectors and one coupler. Two fiber optic connectors are fitted into the ends of the two fibers; the coupler acts as an alignment sleeve. In addition, the coupler is equipped with metal or non-metallic flanges to facilitate the mounting of the connector. The optical fibers are connected by adapters through their internal open bushings to ensure maximum connection performance between fiber optic connectors. In order to be fixed on a variety of panels, also designed a variety of fine fixed flange. 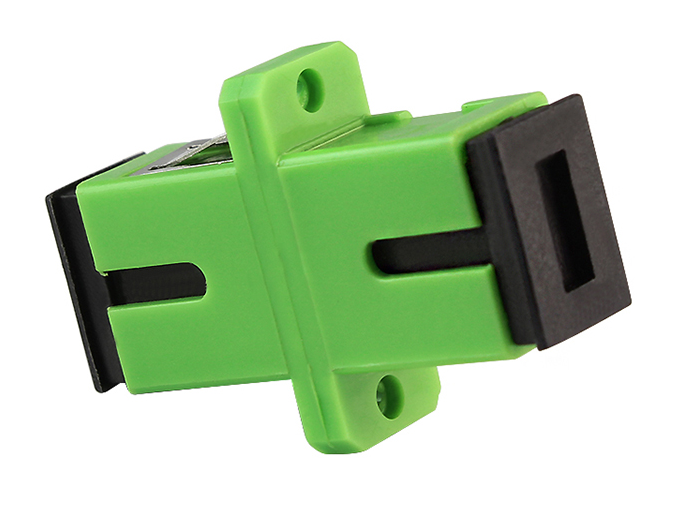 Both ends of the adapter can be connected to fiber connectors of different interface types and provide connections between APC end faces. Dual or multi-adapter can increase installation space and save space. Fiber optic connectors according to the different transmission medium can be divided into common silicon-based fiber single-mode, multi-mode connector, there are other such as plastic as the transmission medium of the fiber connector; according to the form of connector structure can be divided into: FC , SC, ST, LC, D4, DIN, MU, MT, and so on. Among them, the ST connector is usually used for wiring equipment, such as Fiber Patch Panels, fiber optic modules, etc . ; and SC and MT connectors are usually used for network equipment. According to the shape of the fiber end points are FC, PC (including SPC or UPC) and APC; according to the number of optical core is divided into single and multi-core (such as MT-RJ) points. Fiber optic connectors are widely used and varied. Looking for ideal Sc Apc Adaptor Manufacturer & supplier ? We have a wide selection at great prices to help you get creative. All the Sc Apc Connector are quality guaranteed. We are China Origin Factory of Sc Apc Fiber Adaptor. If you have any question, please feel free to contact us.